The Montana Science & Natural Resources Education Center - Main structure of 26,000 SF using metals, copper, reclaimed wood, and rammed earth - all from the site. 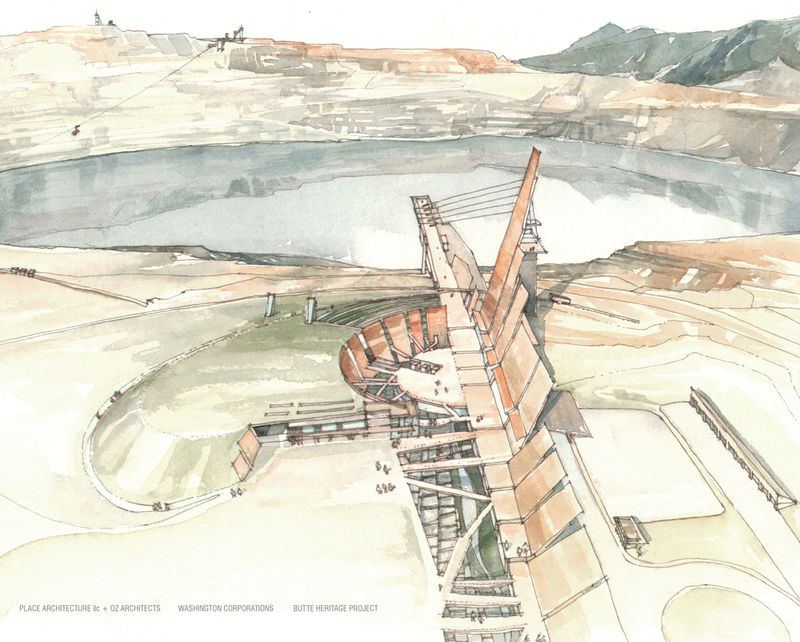 The structure projects out over the Berkeley Pit to give the visitor a dramatic panoramic view of past mining practices and instill a new restoration ethic through research-based exhibits. Registered as LEED. 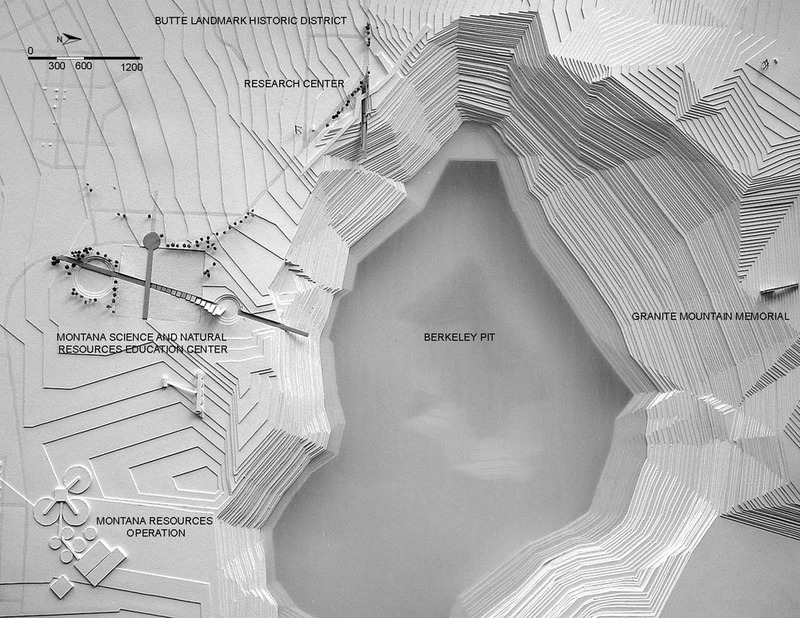 The buildings are to be a model of active reclamation while a "one-thousand Year" reclamation land will demonstrate the long-term commitment of real solutions to problems our use of water and natural resources create. International and national experts have assisted in creation of this project. 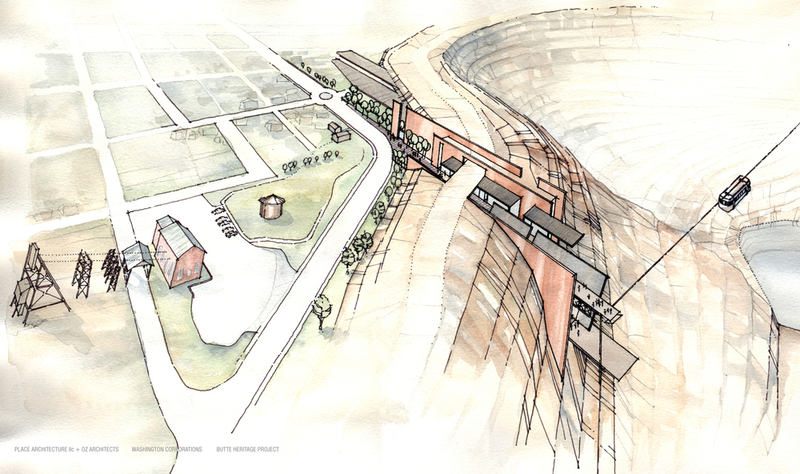 Outdoor terraces and unique reclamation areas: sculpture by a nationally known individual, restoration gardens based upon bio-mimicry principles led by the foremost world expert, adjacent views of the operating mine, and community gathering space provide the entry to the MSNREC building and exhibits. 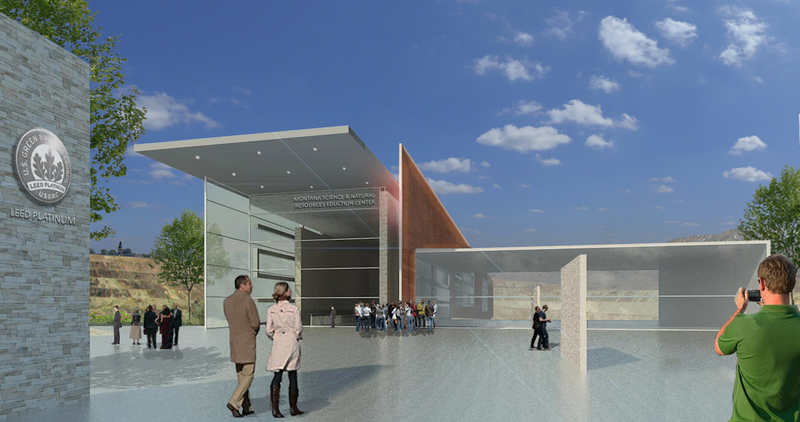 Research Center and Granite Mountain Memorial are future plans.